The question I am asked most at craft fairs and events is ‘Where do you get your postage stamps?’ My reply these days is specialist stamp dealers. 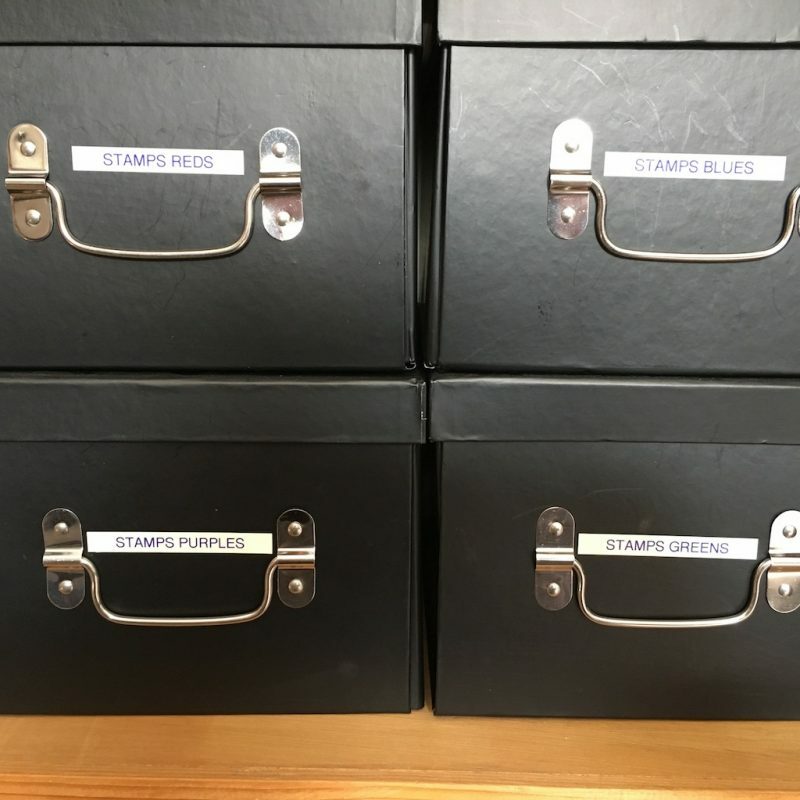 Although since I started upcycling postage stamps I have bought them at car boots, auctions, and charity shops, and kind people have given them to me. My first postage stamp purchase was a box full of mixed stamps ‘on-paper’, that means a little square of ripped envelope with the stamp still stuck on. I was very pleased with myself because the whole box was only £3. I did some research on the best way to remove the stamps and discovered that you had to float the paper on water so that the envelope absorbed the water, the stamp stayed dry but the gum was softened enough to allow the stamp to peel off. I duly did this and almost a day later I had 580 stamps to show for it. I worked out that taking my time into consideration they were costing at least 75p each. At that price my pictures and kits were going to be very expensive. My rule now is only to buy stamps ‘off paper’! Ever wondered why people who make artisan, hand crafted products are sometimes very cagey when asked where they source their materials and how it’s made? It takes a lot of work to find the right suppliers, with lots of trial and error to get the right quality and price. Although we love to talk about our work and may give hints and tips about our processes, please don’t ask us to give away months, often years worth of work in honing our craft. That knowledge is valuable to our businesses and we’ve earned it the hard way. I buy large quantities of postage stamps from my specialist stamp dealers. If I’m lucky they are in little bundles of 100 all the same, that means sorting them into the curated colours that I use is easier. 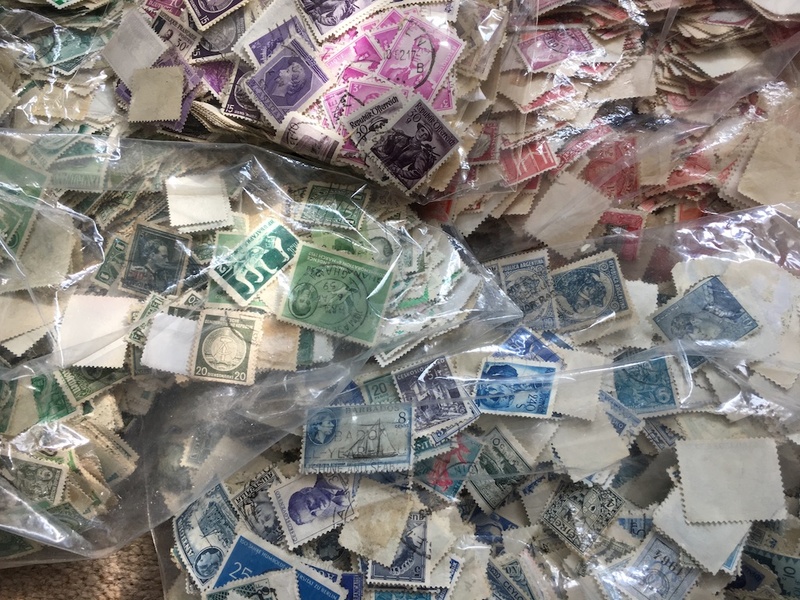 If not then I am to be found of an evening in front of the TV sorting 1000’s of stamps so that you can buy colour curated stamp art pictures or kits. 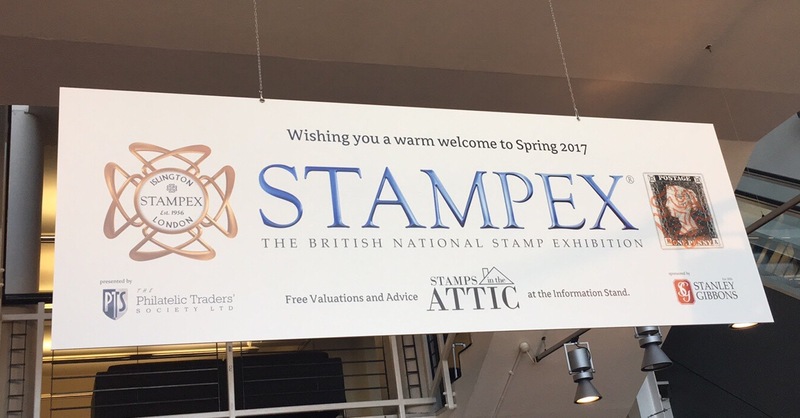 Buying my stamps from dealers also reduces the risk that I stick down, cut up or give away a really valuable, rare stamp! This entry was posted in Lane End Vintage and tagged Postage Stamps, Supplies.